Trentino might not have an instantaneously recognisable name, but this region is where you’ll find the Dolomites. Not Italy’s tallest mountain range, but arguably its most dramatic. Alpine but with more red stone than you might expect, these mountains are a playground for climbers, hikers, skiers and anyone who enjoys a spectacular view. You might think all our Guru’s recommendations for the best places to stay in Trentino are up in the mountains or mountain valleys, but that’s not quite the case. At the southern end of Trentino you’ll find Lake Garda, which is where you’ll find some of the best places for those who prefer spectacular lake views to spectacular mountain views. Beyond the views there are national parks protecting stunning areas of unspoiled wilderness and providing another landscape for those seeking adventure in the great outdoors. Then there are peaceful rural valleys, vineyards, orchards and pretty hamlets. Trentino is a fantastic place for foodies as this whole region is such a European melting pot. Trento has a beautiful collection of medieval and renaissance architecture and a noteworthy cathedral. Rovereto has a pretty medieval centre, but is better known for its production of cheese, chocolate, coffee, wine, silk and glass. Then there’s the picturesque lakeside town of Riva del Garda. Don't miss the beautiful Tenno, just north of Lake Garda. The charming town of Arco has a stunning hilltop castle. 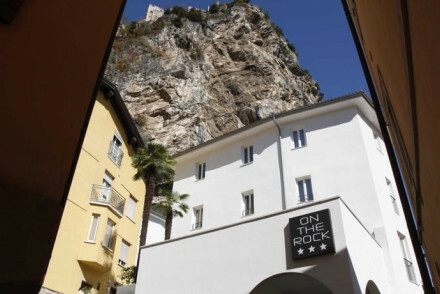 If you're planning to come to the region in the busy summer months, just remember to book your pick of the best places to stay in Trentino well ahead. 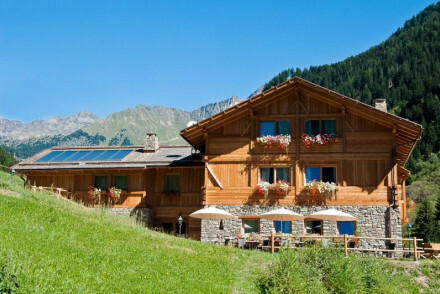 The Chalet Aplenrose is a cosy ski chalet within the borders of the Stelvio National Park. It has 19 alpine style rooms with wood panelling, exposed beams and four-poster beds. There is a lovely sun-deck, spa, sauna and hot tub. The restaurant specialists in Tyrolean cuisine. The Villa Orso Grigio is in the hilltops of Val di Non where the views are spectacular. It’s a fairytale spot with ten traditional wood panelled rooms with alpine furniture. Each room has a private garden and some have Turkish baths. There is a pool and a restaurant with an elegant wine and cigar room. The LIdo Palace is a five star resort perfectly positioned between lovely Lake Garda and the mountains. The stunning Liberty villa has ben converted into a 42 room hotel with contemporary designer flair. There’s a fabulous spa, extensive grounds and a gourmet restaurant. Arco’s Vivere Suites are a sleek collection of six contemporary ground floor suites, all with private gardens and kitchenettes. There is a spa and pool onsite and plenty of facilities for outdoor adventures close by. 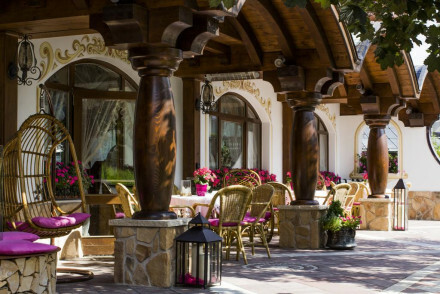 The Villa Kofler offers a collection of contemporary suites, all with sleek, individual decor, an extensive spa menu and an excellent fusion restaurant. It’s also well located for those wanting to explore the beautiful mountains which surround the villa. Garni on the Rock in Arco has 19 rooms right up next to a sheer natural rock face - so this is a perfect spot for anyone interested in climbing. There’s also a spa with Turkish bath and sauna and the views are lovely. The Hotel Garni Laurino in Cavalese Trento is a fabulous country hotel with 12 rooms surrounded by spectacular mountain scenery. The decor is traditional - think wood panelled walls and four poster beds - and the rooms come in a range of sizes from doubles to suites to whole apartments. Starting from around £30 per night. 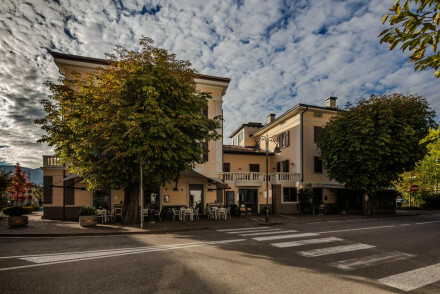 For a similar room rate you could stay in the Stella Alpina, a cosy and traditional seven room B&B with an excellent wine cellar and a local shop on site. As well as B&B rooms there are two apartments complete with kitchens. Da Gianni is a delightful property just outside the centre of Arco. Rooms are traditional in style, there's a spa for massages and treatments and a lovely garden with pool. It's great value too with rooms from just €90 per night including breakfast. 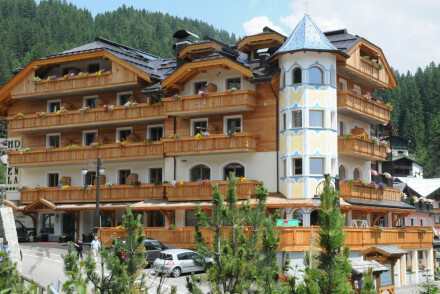 If you’re visiting Trentino on a family ski holiday then the Hotel Letitzia is perfect for you. Situated at the foot of Pale di San Martino there are 34 classic, alpine style rooms with wood panels, four-poster beds and views across the Dolomites. The restaurant serves excellent local cuisine. 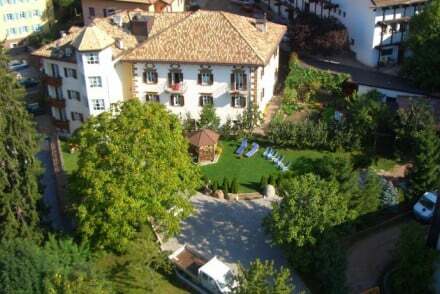 The Hotel Elda is at the southern edge of Trentino close to Lake Garda. It’s an eco-friendly hotel with 17 simple attractive rooms, a spa and pool and an Eastern European restaurant. Great if you want to do a spot of fishing, cycling, skiing or hiking etc..
For people looking for some place all to themselves, explore the options at our online partner Booking.com. Two of the closest airports to the region of Trentino are Milan Bergamo and Verona. Trentino is a big region so if you are looking to explore, we recommend visiting our online partner Rentalcars and hiring a car. When to visit Trentino depends on what you want to do, skiing in the winter or relaxing in the summer sun. Browse through our list of all the best places to stay in Trentino. Expand your search to include all our recommendations in Lake Garda. A fabulous country house in a spectacular natural setting surrounded by waterfalls, mountains, and hiking trails. 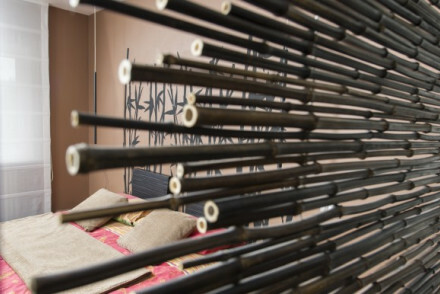 Traditional charming interiors have wooden walls, four poster beds, and cosy spaces. Doubles, suites, and flats to choose from. An excellent choice for an active holiday. Families - Four flats are ideal for groups of friends or families, they sleep up to 6. Back to Nature - Natural waterfalls and monumental trees form spectacular landscapes. Great walks - Guided hiking tours. 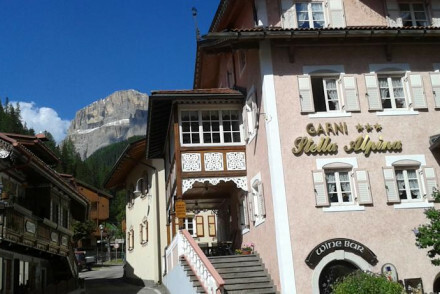 A charming little B&B at the foot of the Dolomites. 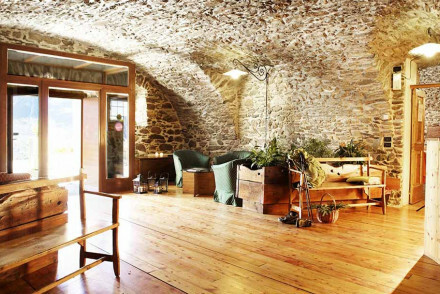 Traditional and cosy rooms as well as two apartments with kitchens. Excellent wine cellar and local shop. Fantastic value, perfect for an active summer or winter holiday. Family friendly too. Families - The two apartments attached to the B&B have two bedrooms and kitchens. A perfect getaway for a couples holiday. Contemporary suites, all individual in style, have all the mod cons and sleek furnishings. 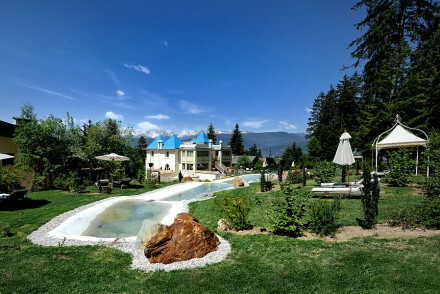 Extensive spa, excellent fusion restaurant, and plenty of activities in the mountains around. Active, romantic, gourmet. In the heart of the Dolomite mountains lies the family-ran Hotel Cafe Centrale, boasting sublime panoramic views of Mezzocorona. The rooms are light and cosy, with crisp white linen, plenty of pine and clean lines. Boasting a spoiling spa ideal to return to after a day spent outdoors. Spa breaks - The wellness centre boasts a pool, whirlpool, sauna, steam bath and treatments are available on request. Business meetings - There are two meeting rooms specifically catering to business meetings. Great walks - Near the Dolomite Mountains, an ideal place for long walks with fabulous views. Historic property in Passo del Tonale. Cosy rooms and suites have rustic features. Spa, restaurant and terrace to relax in. Minutes from ski lifts, with walking tours available. Ideal choice for family ski holiday or outdoorsy types in summer months. Active Holiday - Perfectly positioned for outdoor mountain activities all year round. Skiing - Marilleva Ski Area and Pradalago Gondola. Romantic Break - A romantic building and location. A traditional chalet at the foot of Pale di San Martino. Rooms in classic Alpine style with wooden panelling, four posters and views across Dolomites. Spa, hammam and excellent cuisine of Trento region. Perfect choice for a family ski holiday. 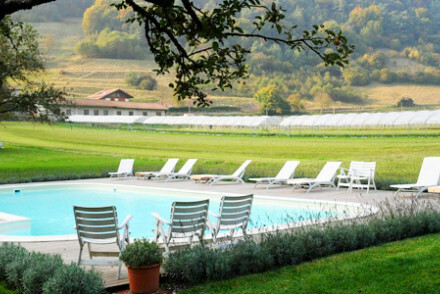 Spa - Beauty and Wellness center: Ninfa del Bosco Incantato. Cosy chalet in a National Park. Rooms are welcoming in Alpine style with wooden panelling, four poster beds and beam ceilings. Sun-decks, spa, sauna and hot tub. Wide range of Tyrolean cuisine in the restaurant. Ideal for quiet family ski break. Nestled in the Italian Dolomites, this hotel offers a range of high-end suites, all furnished in a modern style and designed with natural materials. Boasting two swimming pools, clay tennis courts and a fine-dining restaurant, while the superb spa is perfect to return to after a day spent outdoors. Ideal for the adventurous! Not only can you climb the natural rock face that towers over the hotel - there is also an indoor boulder room. Bedrooms boast modern furnishings and great mountain views. The private spa includes a Turkish bath and Sauna. Plenty of activities on offer. 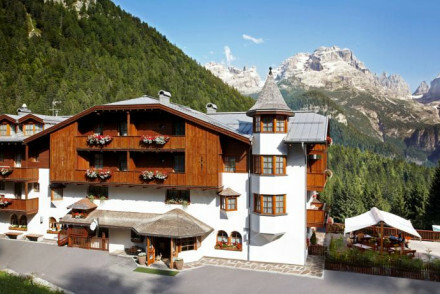 Slightly outside Madonna Di Campiglio, Maribel Hotel is an excellent alpine establishment. Featuring comfortable rooms, an extensive spa and a good dining option. With a ski school and hire onsite it's a great place for family trips. A romantic hotel in the hilltops of upper Val di Non. 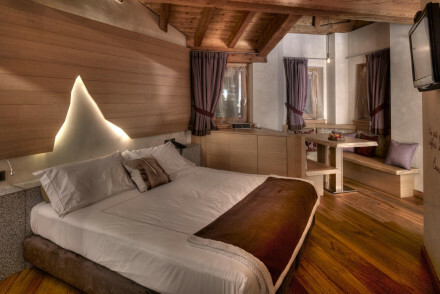 Rooms blend traditional wooden ceilings and Alpine furniture with subtle modern features. Each room has a private garden; some with turkish baths. Pool, excellent traditional dishes, and elegant wine and cigar rooms. A fairytale spot. Wonderful family run hotel and spa a bus ride from the nearest ski lift. Traditional but chic, huge bedrooms and suites have wooden floors, wooden ceilings, big beds, neutral tones and fantastic views from private balconies. Michelin star restaurant and fabulous spa. Family friendly and romantic. 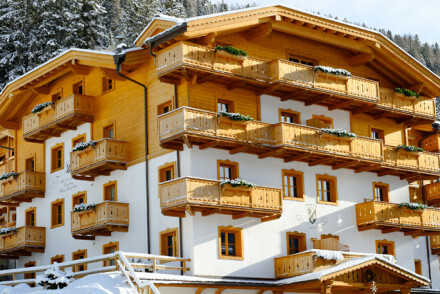 Fitted with all the comforts you need for a skiing trip, Boutique Hotel Diana is an excellent establishment. Featuring plush rooms, an extensive spa and a superb restaurant, this is a great place to unwind after a long day on the slopes. Great walks - The surrounding valley is full of great walking routes. 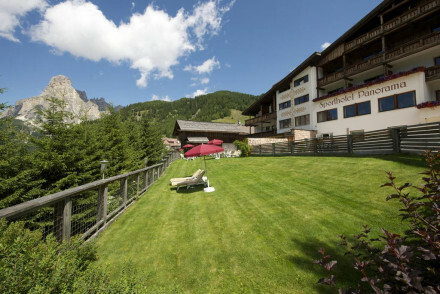 A charming village hotel, in the stunning Dolomites, with an emphasis on year-round outdoor activities. The rustic alpine aesthetic features Swiss pine and bare brick, and the rooms boast spectacular mountain views. The top-notch restaurant, winery and indulgent spa are a real plus. 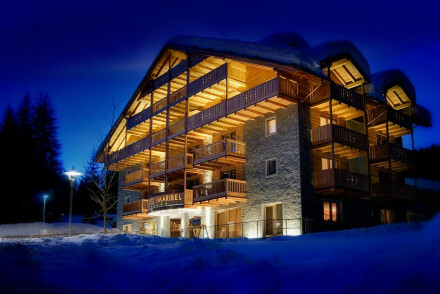 Lovely 5 star chalet with beautiful suites. Wood, wool, lime, and local stone make up the entire building attesting to its eco-label certification. Sumptuous rooms, family rooms and suites with private balconies. Excellent spa and restaurant. Comfortable and cosy, but still chic. Skiing - Just 25m from the piste! A boutique hotel in a mountain top village with an excellent spa and restaurant. Naturally constructed bedrooms have wooden floors and animal hides strewn around. Some have private balconies, private sauna or wooden stove. 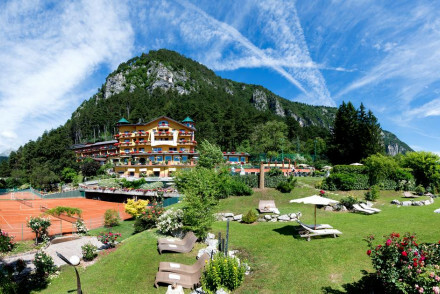 An excellent spa hotel for an active mountain holiday, family friendly too.